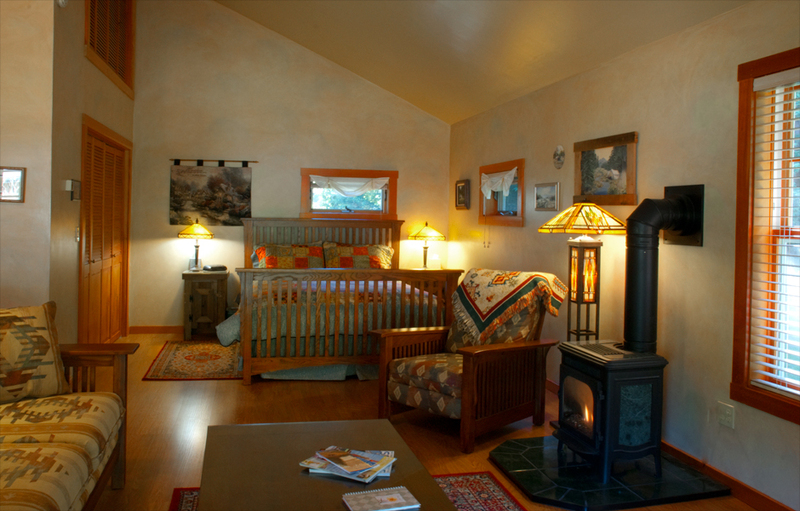 A tribute to the Northwest, this cottage suite has a view of the meadow and ‘Fairy pond’ from the comfort of the Mission style sofa. Faux painted walls, wood louvered closet doors and hand crafted night stands made from the sun-silvered siding of the former woodshed contribute to the rustic elegance of this romantic cottage. 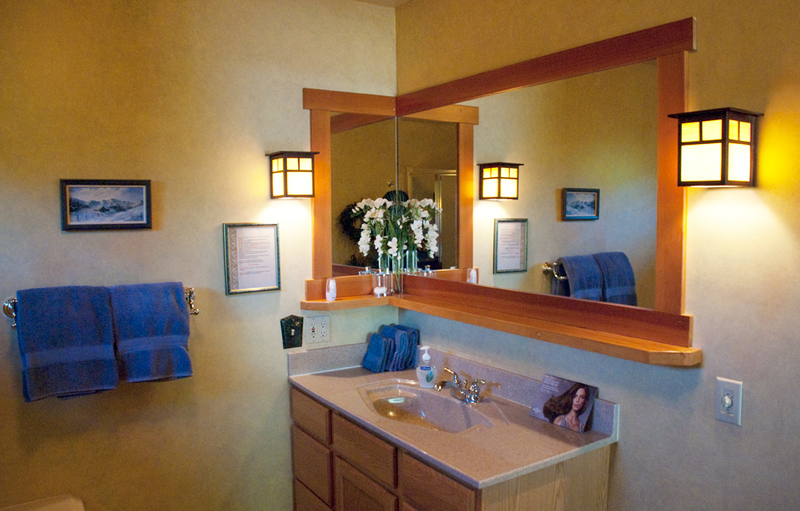 Share an intimate evening together by candle light in front of a romantic fireplace. Sip a glass of wine on your own private covered porch and listen to the frogs. 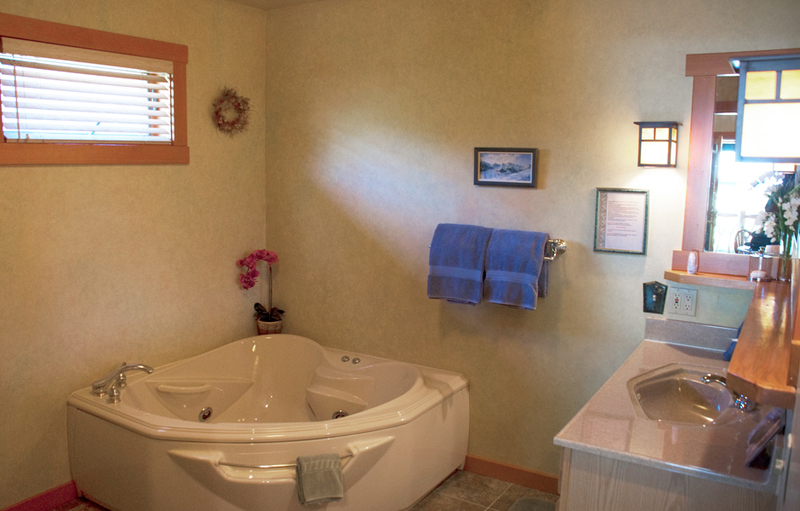 In the peace of your own room, sit and relax in a soaking tub for two. 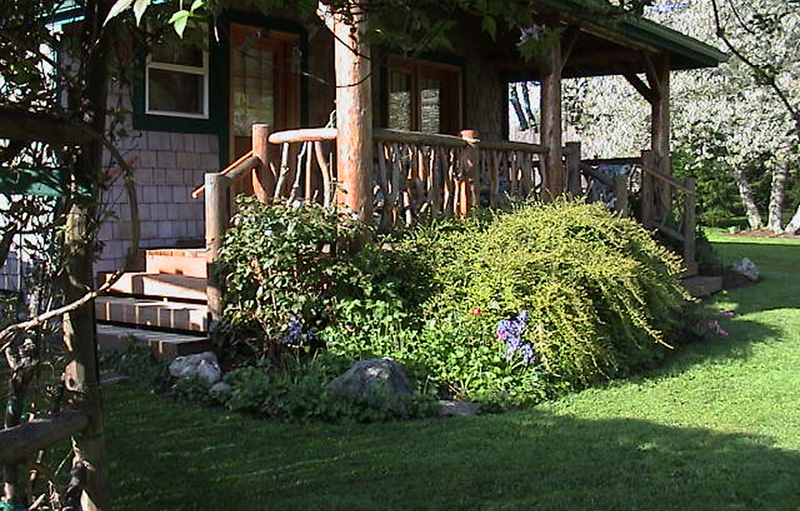 Come for a healing and restorative personal retreat, writers and artists find inspiration in the beauty and quiet. Unwind in our outdoor therapeutic hot tub spa or relax in our beautiful gardens. Check out our page titled ‘Grounds’ to see our fabulous new covered patio! Complete private cottage. 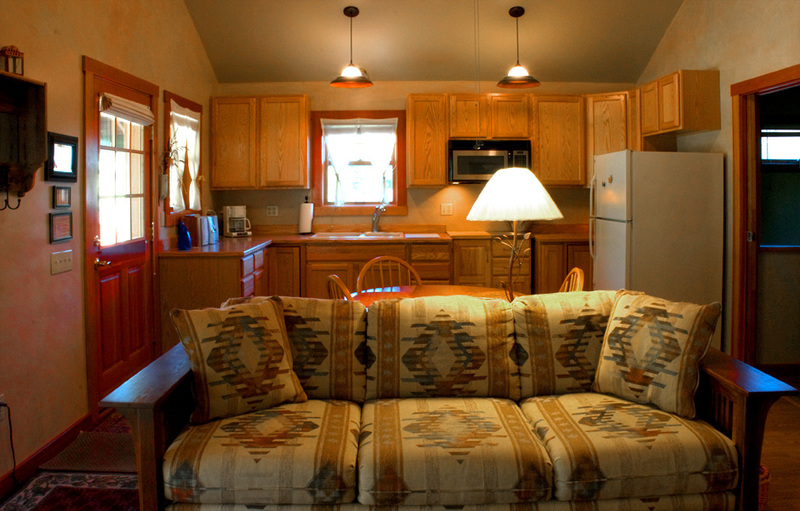 Beautiful free-standing cottage with kitchen area, fireplace, 2 person soaking tub, separate shower and sink with ample counter space. Queen-sized bed. The Arbor Cottage was enchanting and beautiful, we especially loved the covered porch and the wonderful large soaking tub in the bathroom. The gardens were serene and healing… we enjoyed the sweet sounds of the birds and the frogs. What a wonderful, magical place. We wanted a quiet weekend just to ourselves and the peace and tranquility of the gorgeous gardens and cottage were just what we were looking for. Our hostess, Jacqueline, was warm and welcoming and gave us some great advice on restaurants and fun things to do for the weekend.